The wedding of Prince William and Kate Middleton coming up in just a few hours and the whole world is buzzing with excitement. While cleaning earlier this afternoon a recap of the wedding of Princess Diana to Prince Charles came on and I realized that I was only a little girl when she died and never saw the grand event. I sat down to watch it and the next thing I know it is 2 hours later, and the event is yet to even be half way over. There is no surprise that tomorrow will mark a great day in the history books and I will surely be watching it. Maybe not from the front lines, but I will still be observing the royal affair from my cozy room here on the other side of the planet. 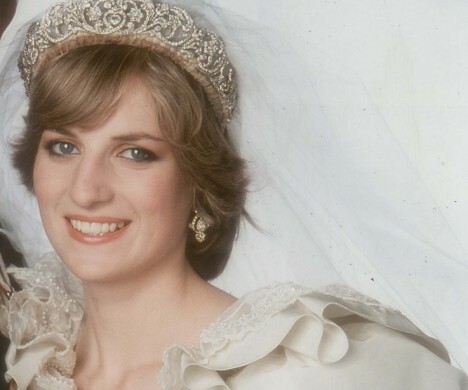 So here are some of my absolute favorite shots from Princess Diana's wedding...what an absolutely gorgeous, amazing, young woman she was, it was no wonder the queen herself couldn't contain her smile throughout the wedding ceremony. This is a very touching moment between the princess and her flower girl. The famous dress, with the infamous train. I think we all are wondering what the Kate will be wearing; it is definitely one of the things I am most excited about. Watching the ceremony today on TV I loved when she flubbed her vows, calling him the wrong name...just shows that even royalty can have a little wedding jitters. And who wouldn't get confused if there husband had four first names? This same carriage will also take Prince William and Kate Middleton away later today. I truly believe that they are trying to keep Diana's spirit within the entire wedding. Not only with the engagement ring, but through other family traditions as well. I guess now all that is left to do is sit and wait for the wedding of the century!